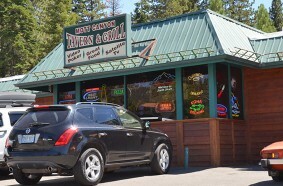 Mott Canyon Tavern and Grill is a favorite gathering spot for Lake Tahoe locals since 1997. Come for their great food, selection of beers, premium brand well drinks, granite fireplace and in the summer the outdoor patio. Mott Canyon is a great place to hang out and unwind after a great day on the slopes or sunny day at the beach. Mott Canyon is open until 4 am for those who like to stay out late. They offer Happy Hour everyday from 4pm – 6 pm and 12am – 4 am as well as a “Beer of the Day” special all day everyday.